For every PBA fan, you can now binge on the greatest collection of bowling achievements in the PBA’s 60-year history by visiting the PBA channel on YouTube where a series of videos showing every nationally-televised PBA Tour 300 game is now showing. Visit YouTube.com and search for: “PBA 60th Anniversary Collection: Televised 300 Games”. Then click on the show you’d like to watch on the playlist. The same shows also are available on the PBA page on Facebook under “Featured Videos”. 26) Francois Lavoie vs. Shawn Maldonado, 211 (Las Vegas, Nov. 10, 2016). @-denotes perfect game bowled in the championship match. If you miss one, no problem. All of the 300 game segments will be maintained in the YouTube and Facebook archives so you can watch them at your leisure. For all of your late-night bowling fans, PBA Xtra Frame on FloBowling will be streamed live from Malmö, Sweden, starting in the wee-early hours Sunday with the final day of competition in the PBA International-World Bowling Tour Storm Lucky Larsen Masters. Tournament coverage begins with the four-game “Step One” round at 1:30 a.m. Sunday, followed by the four-game “Step Two” round at 4 a.m. and the eight-game “Step Three” round at 7 a.m. The top four players from Step Three will advance to the stepladder finals at noon. All times are Eastern Daylight. Many of the PBA’s leading player of the year candidates are entered in Malmö including Australia’s Jason Belmonte (left), the defending champion; 2018 USBC Masters winner Andrew Anderson; Anthony Simonsen (right) and EJ Tackett. 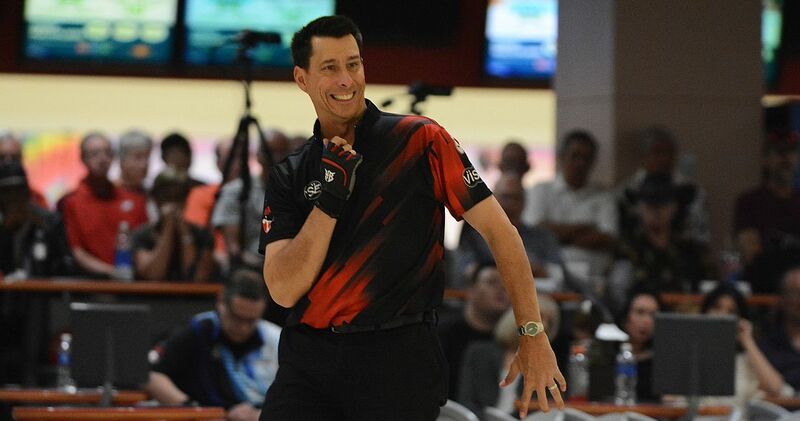 Also on the Xtra Frame on FloBowling schedule for Saturday and Sunday is a PBA Southwest Regional event – the PBA Grand Hotel Casino and Resort Southwest Open from Shawnee, Okla. Closing out the month, PBA Xtra Frame on FloBowling will cover another pair of events, including the PBA50 Storm Invitational at Planet Fun Bowling and Entertainment Center in Shallotte, N.C., and another PBA Regional event, the PBA Double Decker West/Northwest Open presented by Roto Grip from Double Decker Lanes in Rohnert Park, Calif., Sept. 29-30. The PBA50 Invitational will include a field of 14 include 2018 PBA50 Player of the Year Michael Haugen Jr. (left), PBA50 Cup winner Brian Kretzer, PBA60 Player of the Year Ron Mohr, Walter Ray Williams Jr., Norm Duke, Parker Bohn III, Lennie Boresch Jr., Amleto Monacelli, Ryan Shafer, Bob Learn Jr., Pete Weber, Harry Sullins, Brian Voss and Johnny Petraglia. Kenny Calkins of Des Moines, Iowa, made a last-minute decision to make the trip to Peru, Ill., where he defeated top qualifier and 12-time PBA Tour title winner Sean Rash of Montgomery, Ill. 254-214 to win the 23rd annual Illinois Valley Midwest Region Open at Illinois Valley Super Bowl Sunday for his first PBA title. Calkins, who also earned $2,000, qualified fourth for the stepladder finals and defeated Ambrose University collegiate bowler Nate Stubler of Peru, 221-214, in the first match and reigning PBA Midwest Region Player of the Year AJ Johnson of Oswego, Ill., 236-228, in the semifinal game to advance to the championship match. 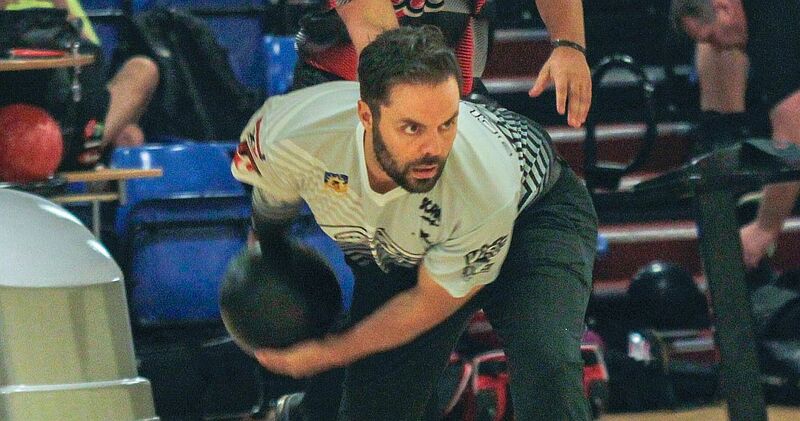 Jay Boyle of Garnet Valley, Pa. defeated Ray Textor of Kennedy, N.Y., 213-188, to win the PBA50 Hammer/Strike Zone Open at the Strike Zone Alleys in Pottsville, Pa., Sunday for his second career PBA50 Regional title. 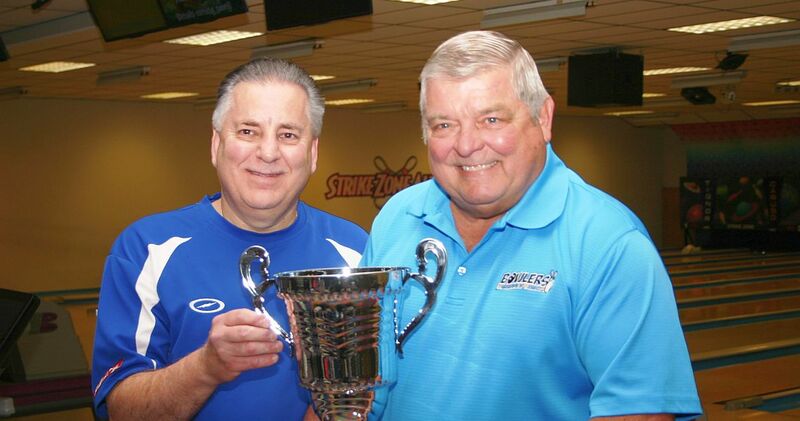 Boyle (pictured with proprietor Terry Brenneman, right), who had gone undefeated throughout the earlier elimination rounds, left the door open for Textor when he failed to double in his 10th frame. Textor, who had a previous career best finish of seventh place, failed to strike out in the final frame to force a tie. 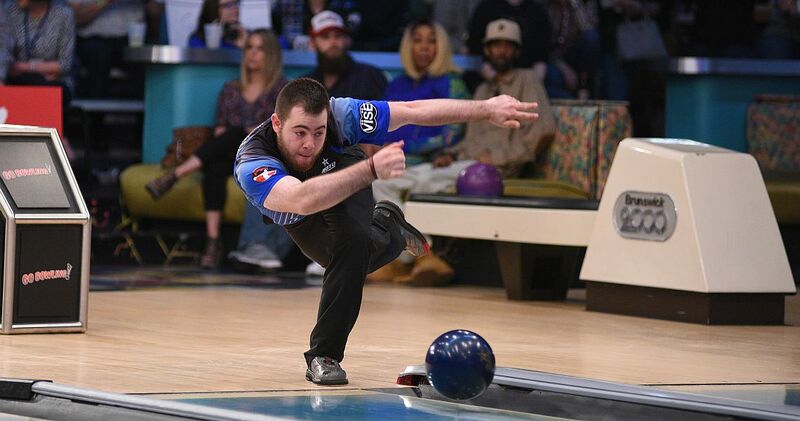 Boyle, who earned $1,500, defeated Darryl Bower of Middletown, Pa., 235-224, and Textor defeated Glenn Smith of New York City, 210-170, in the semifinal round. September’s PBA Regional activity continues this week with the PBA60 Kingsport Super Senior South Open presented by Storm at Warpath Lanes in Kingsport, Tenn., concluding a tripleheader program over the extended Labor Day weekend. Events this weekend include the PBA Grand Casino Hotel and Resort Southwest Invitational (streaming live on PBA Xtra Frame on FloBowling); Brian LeClair’s PBA50 Revolutions Pro Shop Open at Boulevard Bowl in Schenectady, N.Y.; the Fayetteville South Open at Lafayette Lanes in Fayetteville, N.C.; the PBA50 Diamond Jo Casino Midwest Open presented by Brunswick, and the PBA Japan Region’s Aikyo House Cup Wolf Open and Women’s Wolf Open in Chiba, Japan. 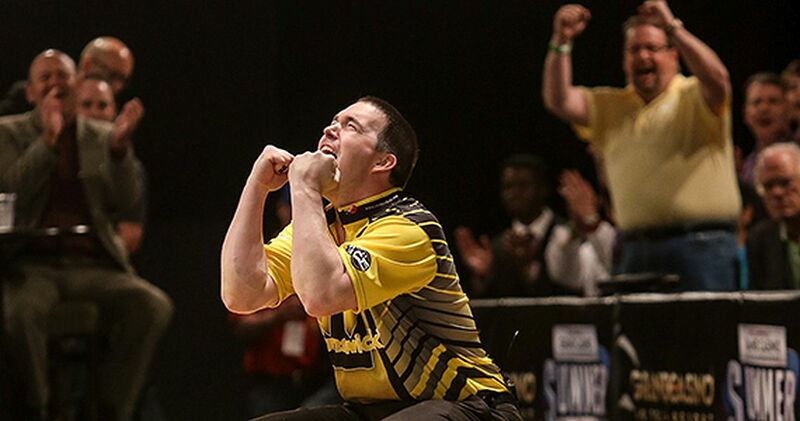 PBA Regional events on the Sept. 14-16 weekend schedule include the Sturgis Central/Midwest Open at Sturgis Bowl in Sturgis, Mich.; the Century Lanes South Open in Hampton, Va., and the Liberal Kansas Southwest Open at Ayr Lanes. September’s PBA Regional calendar continues over the Sept. 21-23 weekend with the PBA/PBA50 Millsboro Lanes Eastern Doubles in Millesboro, Del. ; the one-day Florence Bowling Center Central Open in Florence, Ky.; the PBA50 Cherokee Lanes South Open presented by Roto Grip in Canton, Ga.; the Lubbock Sports Southwest Challenge at South Plains Lanes in Lubbock, Texas, the one-day Mockingbird Lanes PBA and PBA50 Midwest Open doubleheader presented by Hammer in Omaha, Neb., and a Northwest/West/Northwest tripleheader at Paradise Lanes in Tacoma, Wash., including the Always Painting Northwest/West Open presented by Vac-Tec; the Gary Mage PBA50 Northwest/West Open presented by Great American Casino, and the Jeanne Naccarato Women’s Open.